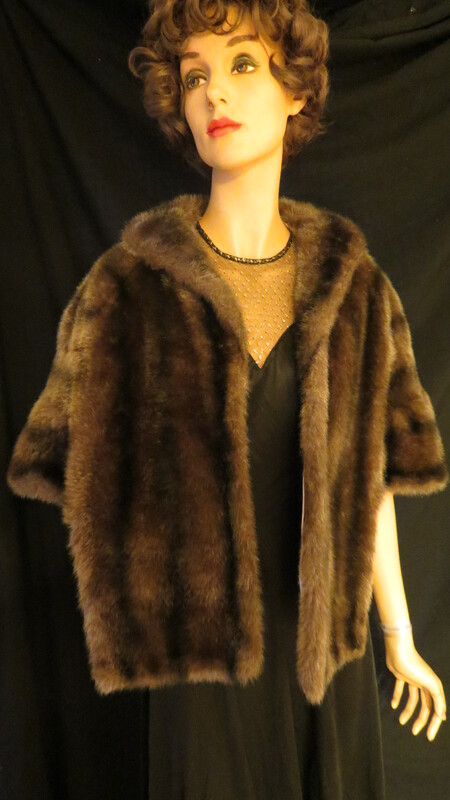 Though not purely the best of the best, this is a good example of faux fur that has been available for several decades. I have others from the 1950’s. It’s a reliable true vintage brand, and is a fabulous alternative to real fur – has to be seen up close and touched to be sure. Some made now require a second look and feel. Vive les animaux . . . . . . . . . . . . . . .
NEW FINDS! TRUE VINTAGE 1950'S – EARLY 1960'S EVENING GLAM. These two belong together! Both the dress and stole are from the same era. Faux mink by Glenoit and a custom-tailored cocktail dress with illusion neckline. Bodice treatment of this type is so pretty – I’ve got examples from the 1940”s to early 1960’s. Although the dress is of modest quality, these kinds of necklines are not easy to make (no, I’ve never tried it – I can tell!) It’s obvious that the sewer knew what they were doing. The fur is well-made and subtly dyed, with a brocaded lining. 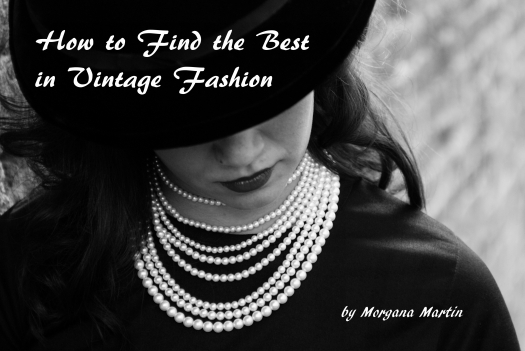 It has stood up to wear and time extremely well over 50 – 60 years.
. . . . . more examples of hand-tailored elegance that even the budget-minded woman could enjoy back in the day . . . . . . . ..